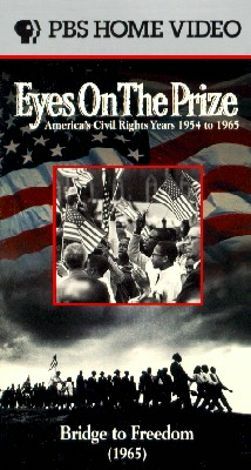 Part of the Eyes on the Prize documentary series, which chronicles the American civil rights struggle, Eyes on the Prize: Bridge to Freedom 1965 describes the vanguard civil rights actions of Selma, AL, residents beginning in the 1950s. During the '50s, Selma residents fought for voting rights, but officials approved only a handful of black voters out of hundreds of applicants. In 1961, the situation grew worse. After a young black activist was shot and killed, 25,000 people marched through Montgomery, AL, to remember him and to state their case. Finally in 1965, President Johnson signed the Voting Rights Act, and one more hurdle was overcome.